When was the last time you got paid for drinking coffee? Or better still, got paid when someone else drinks a cup of coffee or tea? Now this is not empty hype. I want you to realize that there is huge money in the coffee business. And I am not even talking about multimillion franchises like Starbucks, or local cafés and coffee houses. I am talking about a simple business that can run in their spare time without having to outlay large amounts of capital. What I am talking about is a business that is simple, with a very easy model to follow. Simple because it’s coffee, and easy because the product sells itself. Not convinced, that’s OK…. I expected you to want to know more about this great business opportunity, so read on. But the thing is I am not here to convince you… I just want you to have your eyes opened to how you too can make money in the coffee industry, and I’m sure the facts will speak for themselves. Fact! Coffee is the world’s largest traded commodity next to oil – that’s a lot of coffee! And I bet you know many people who drink tea and coffee, You don’t need to look very far… your relatives, friends, colleagues, and even your own family love coffee and tea, don’t they? Now let me tell you this – every time you drink a cup of coffee somebody else makes money. The manufacturer, the wholesaler, the retailer, and everyone who is part of the distribution system earns something, except you. But without you, the consumer, they would not exist. You are part of the system, but unfortunately, you pay for all the costs. On average, 60% of the total cost of your coffee is paid towards the distribution. Imagine how many cups you consume in a day, in a week, a month, every year… go on, do the math. That’s a lot, isn’t it…That’s what pays for the luxury lifestyle these distributors have. A lot of people love coffee. And even if they want to make healthier choices, the coffee experience is something that is so difficult to give up. So Organo Gold provided an option so people who can’t give it up will be able to not only enjoy their coffee, but stay healthy as well. With Organo Gold Ganoderma coffee, you do not need to get rid of your coffee habit because you now have a healthy choice. Firstly, Organo Gold Ganoderma Coffee is healthy. It has been infused with Ganoderma Lucidum, a kind of mushroom widely known in Asian medicine because of its healing properties and amazing health benefits. Secondly, Organo Gold coffee is made only from premium Arabica beans. We all know that in the coffee world, the Arabica stands out from its lesser counterparts such as the Robusta beans. But here, we do not use just any Arabica coffee beans, we only use those of premium quality. It,s like getting the best of the best. And this is how Organo Gold wants your coffee delivered to you – one that is unsurpassed in quality and taste. Thirdly, the health and wellness industry is considered to be the next trillion dollar industry. We have already established how large the coffee market is, and with Ganoderma you can now also tap into the health market as well. You have just increased your market of potential customers and best of all there is huge demand because, let’s face it, it’s so hard to give up drinking tea and coffee… that’s why this is one recession proof business. Imagine being able to be involved in the coffee industry today… it’s like hitting the jackpot because coffee is consumed day in day out by hundreds of millions of people. It’s not hard sell, because wherever you look people are drinking tea and coffee and you don’t need to ask them to do so. It’s a habit they will never give up. Now Organo Gold is giving you the opportunity to have your part of this distribution cost. The concept is very simple. You get your product directly from them and you become the wholesaler, retailer, and the consumer. Because Organo Gold no longer spends for the distribution costs, it comes back to you as your income or commission. Now instead of being a consumer only, you become a prosumer because you are not only consuming but you are also producing an income for yourself. Without even trying you make money (because you drink coffee everyday anyway, right?) But that is just a small part of the story. Every business needs advertising and in the traditional sense, this cost is a huge outlay. Advertising is essential if you want your business to grow. Here at Organo Gold, you are the product of the product; that is why you need to tell other people about your business or about Organo Gold Ganoderma Coffee and its advantages. Talk to friends who are coffee drinkers and let them understand the health and wealth benefits of Organo Gold Ganoderma Coffee. For a lot of people, this is the challenging part. Not all people would appreciate the networking system used by the company. However, this resistance often springs from misinformation or from lack of understanding about the advantages of building a network. If you know your system and fully believe in your products, you will not be deterred. Is it hard sell? It depends on how you look at it. But for me, it is as simple as buying, using, and telling other people about your product. 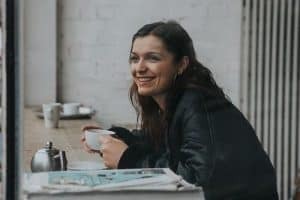 You can do this easily when catching up for chat over a coffee, in the office at the water cooler, or even by introducing it to your community school or other associations. All this can be done in your spare time… many have made it a full time business. Unlike traditional businesses, you do not need to carry large amounts of stock, pay for staff or have an accountant do your books. The Organo Gold system takes care of this for you. All these distributor benefits can be enjoyed for minimal capital outlay tailored fit your preference. Organo Gold offers business options that you can select from depending on how you want to start building your coffee business. So, am I making sense? Think of it this way… coffee is already a part of our lives and most of us are spending hundreds each month just for this commodity. And we don’t get anything in return except the experience that drinking coffee brings. Now is the time to seize this opportunity. And when you have truly experienced the wonderful health benefits that Organo Gold Ganoderma Coffee brings, you cannot help but tell other people about it. When they see that you are truly sincere with what you are telling them, they too will want to try the product, and many often want to become a distributor just like you. So if you’re excited and want to know more but are a little anxious because you have never run a business before, that’s OK.
With Organo Gold, you are never alone as you are supplied with great leaders and mentors who will work with you to make your business a success. You see their success is in your success. You are not in competition but rather you work together so everyone wins. You will receive ongoing training, marketing and support material and even your own website to get you up and running. Aside from that you are marketing not only a highly consumable product but a unique healthy alternative. Want to get your cut of this multimillion dollar business? Have a few hours available each week to spare? Wanting to build a business that can work around you and where you’re the boss? Take Action today because since its launch, Organo has rapidly expanded, and with it being in over 35 countries worldwide, if you don’t get involved now your next door neighbor just might.